Emory Saint Joseph's Hospital and Winship Cancer Institute (Winship) have launched a comprehensive lung cancer screening program for Emory Healthcare that offers a low-dose CT (computed tomography) scan for patients most at risk for developing the disease. The CT scan is recommended for current or former smokers ages 55-80 who have a 30 pack-year smoking history (packs per day x total years smoked = pack years) or for those who have quit within the past 15 years. 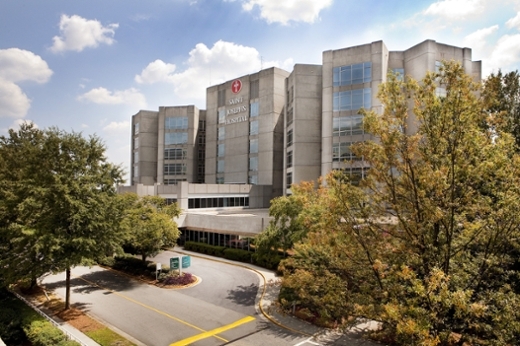 "Our goal is to detect lung cancer early," says Stephen Szabo, MD, director of Winship's community oncology at Emory Saint Joseph's, "and our program is unique because we have a team of specialists in radiology, oncology, cardiothoracic surgery and pulmonology providing a continuum of care for each patient." Participants also have access to the latest clinical trials and cutting edge new therapies within one academic medical system. "Lung cancer remains the leading cause of cancer-related death for both men and for women. This comprehensive lung cancer screening program will increase the chances of detecting any lung cancers at an earlier, more curable stage" says Walter J. Curran, Jr., MD, Winship's executive director. Patients meeting the criteria for the CT scan are required to have a provider referral. Emory Saint Joseph and Winship will assist those candidates without a referral by scheduling a shared decision making appointment with a provider on site in order to facilitate the screening. Once the scan is completed and read by a radiologist within 48 hours, the multidisciplinary team will determine the best care plan for each patient based upon the results, whether it is immediate treatment or an annual follow up appointment. Patients that have nodules identified during the screening are provided an appointment within 48 hours for a lung nodule consultation with a physician who is a part of the multidisciplinary team. According to the American Lung Association, lung cancer is the nation's leading cancer killer and research shows that lung cancer screening with low-dose CT scans and appropriate follow-up care significantly reduce lung cancer deaths. The CT scan of the chest is used to screen for pulmonary nodules – collections of abnormal tissue within the lungs that may be early manifestations of lung cancer. These nodules are often detectable by lung screening before physical symptoms of lung cancer develop. For more information about lung cancer screening at Emory Healthcare, call 404-686-5864 (LUNG) or visit http://www.emoryhealthcare.org.